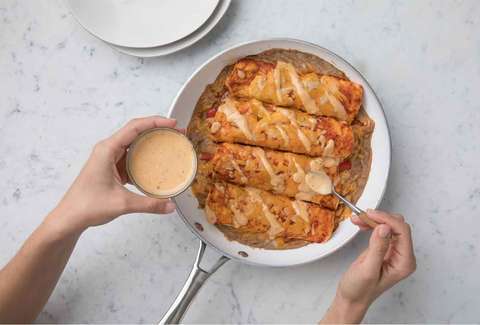 If you pay close attention to news about national chain restaurants -- or happen to read the very site you are currently reading this article on -- there's a good chance you've heard that Chick-fil-A recently announced the creation of a new Blue Apron-style Mealtime Kit, primed to roll out in mid-August. What does this mean, for you? If you visit one of 150 select (and yet-to-be-designated) Georgia-based Chick-fil-A's participating in the new Mealtime Kit initiative from August 27 through mid-November -- when the first run of the experiment ends -- you'll be able to purchase a 30-minutes-or-less, just-under-sixteen-dollar, ready-for-two meal kit, right at the counter. Naturally, reactions to this deep-fried bombshell were mixed. For some, this came as glorious news and was highly relevant to anyone who's ever desperately craved some of that controversial chicken at home (or perhaps just on a Sunday). I’m sooo excited for this @ChickfilA meal kit !! Omg ! They just keep on blessing us + we are not worthy ! 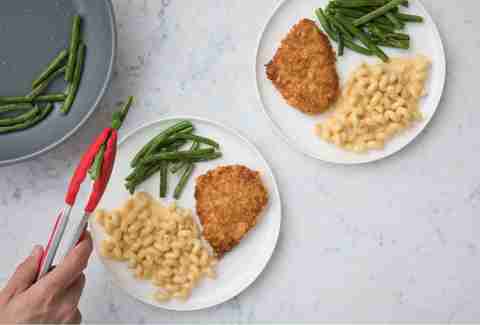 Me: "I'm never gonna join one of those weekly meal kit serv..."@ChickfilA: "We're going to enter the weekly meal kit service industry." And one young woman named Tori was really not into it. Some people might consider a fast food outlet clawing their way into at-home meal kits as a harbinger of the ultimate decay and eventual doom that will no doubt be brought down upon our hedonistic Western society by a higher power. But, as someone who has personally sampled and tested more than a few of the Blue Apron-esque meal services, my interest was piqued immediately. Does this move signal a new, Golden Age of fast food? Has the uber-convenience of the drive-through -- where we don't even have to leave our car in order to procure and consume three spicy chicken sandwiches and waffle fries -- paved the way for this, even more convenient method where we don't even have to leave our kitchens to consume three spicy chicken sandwiches and waffle fries as long as are willing to plan (slightly) ahead. Is this a signal of more fast food innovation to come? Will we soon be heating up freshly prepared Doritos Locos Tacos in our ovens, slinging up original recipe, pre-sold Big Macs at our next backyard BBQ, and talking about how much we still don't like In-n-Out's fries, even when we make them ourselves? Yes. It reads more like a roadside diner in Idaho's brunch specials than a meal-kit by the fast food leviathans. If you'll notice, none of the items that will be available to as pre-made meals is actually served by the chain. So, nothing the chain actually serves, will be available to make at home. So. No chicken sandwiches. No spicy chicken. No biscuits. No waffle fries. No fried chicken at all. No semblance of the food that has made Chick-fil-a a bewilderingly popular outlet for people who want sandwiches and love morbid marketing campaigns revolving around cows begging for their lives. At the end of the day, this news isn't really news at all. Chick-fil-A's meal service doesn't even feature Chick-fil-A food, and we should all feel cheated, if not slightly deceived. We wanted waffle fries and chicken sliders in the comfort of our own home. And what we got were enchiladas. A classic let down. It's the fast food equivalent of getting a hollow chocolate bunny for Easter. And -- like the chicken itself -- this whole scheme may be able to coast, but it's certainly not going to fly.